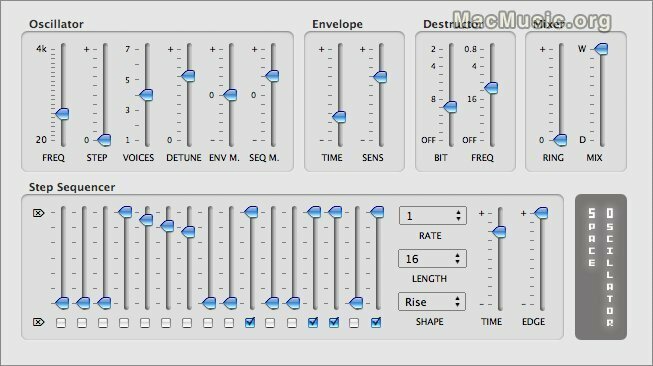 Sinevibes has just released the Space Oscillator Audio Unit plug-in for Mac OS X, which is a unique combination of a synthesizer and a sound processor. At its core, it has a unison oscillator with a spacious stereo sound, that can react to incoming audio in many exciting ways and is simultaneously controllable by a flexible step sequencer. Combined with many other interesting audio shaping tools, Space Oscillator allows to create new sonic textures from intergalactic strums to droid speech.